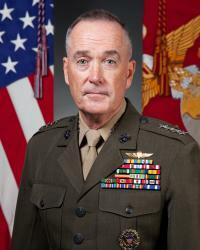 General Joseph F. Dunford, Jr., Chairman of the Joint Chiefs of Staff, will address students at the Boston College High School’s 153rd commencement on May 22. Gen. Dunford is the nation’s highest-ranking military officer, and the principal military advisor to the President, Secretary of Defense, and National Security Council. A Quincy native, he graduated from BC High in 1973.